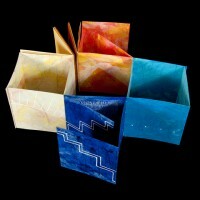 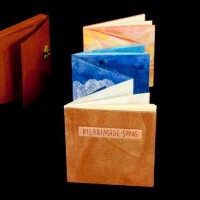 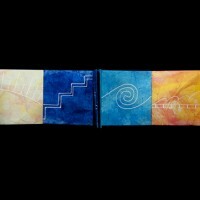 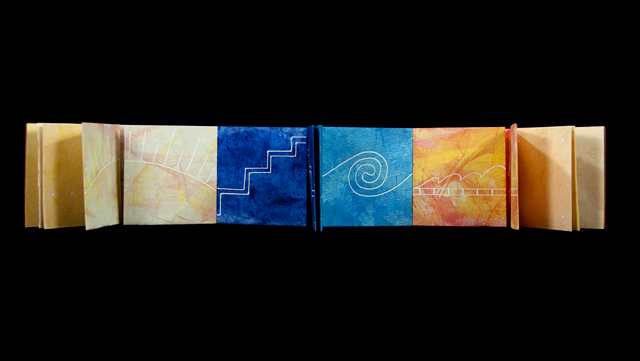 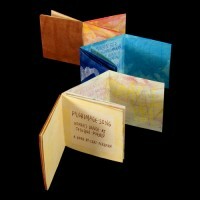 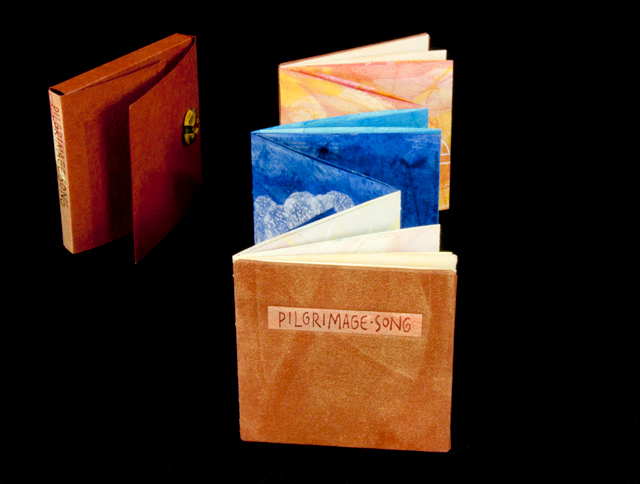 Accordion with gatefold pages, cloth-covered board covers. 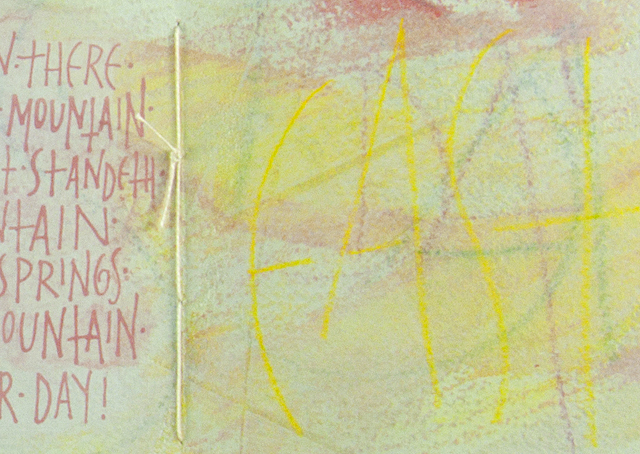 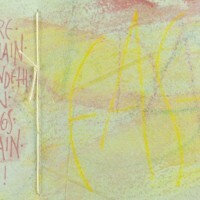 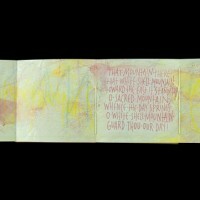 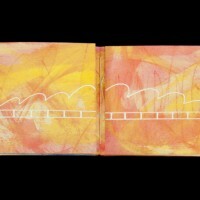 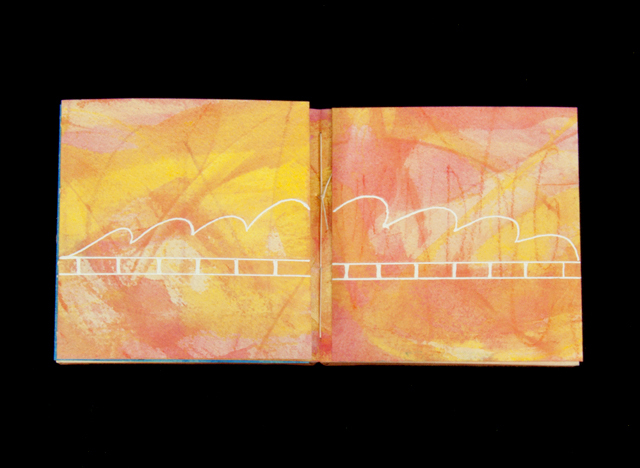 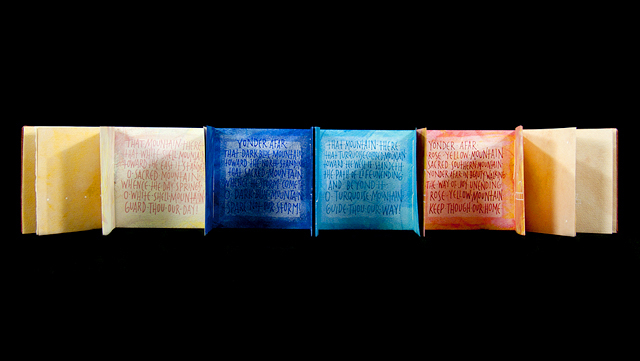 Paste and acrylic painted pages with layers of lettering, iridescent inks and pochoir. 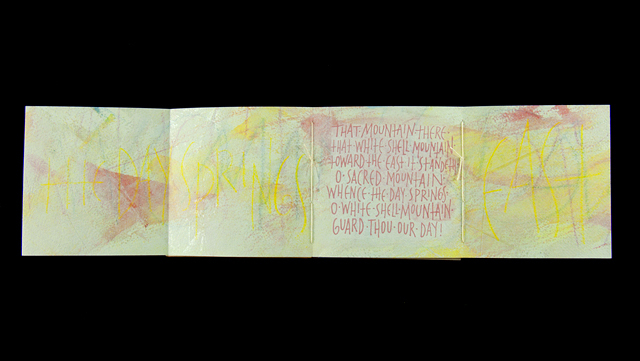 Poem lettered in gouache. 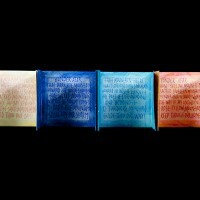 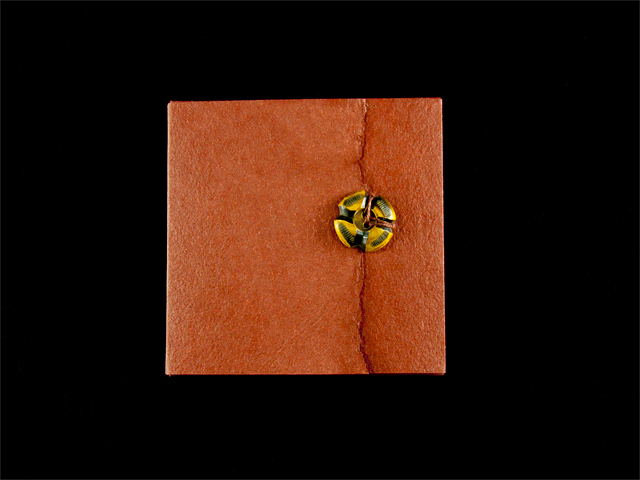 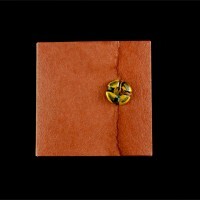 Terracotta colored Cave paper fourfold wrapper with button closure. 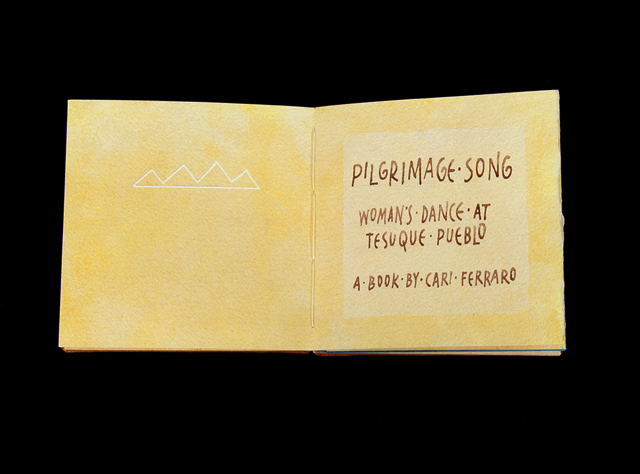 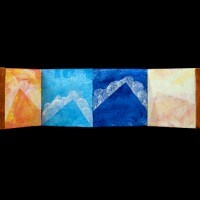 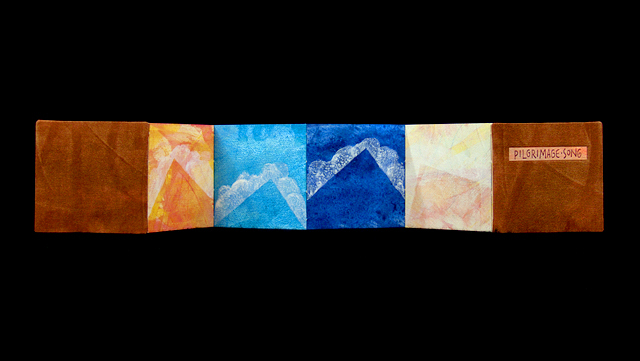 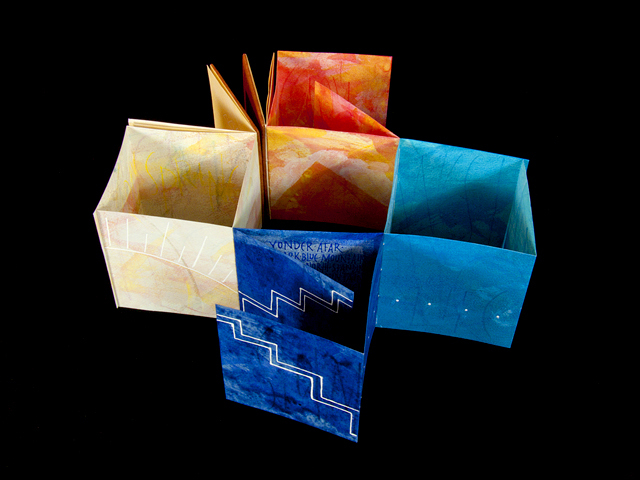 The accordion unfolds in such a way that when the covers meet, a central square space is created that evokes the sacred space created by the songs to the four sacred mountains and directions. 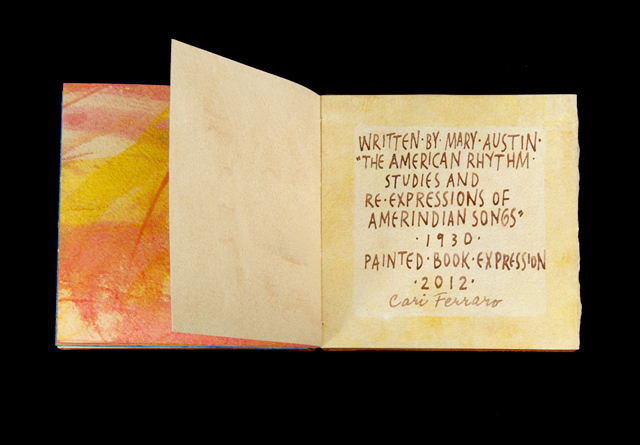 Poem from “The America Rhythm; Studies and Re-expressions of Amerindian Songs” by Mary Austin, 1930, second edition. 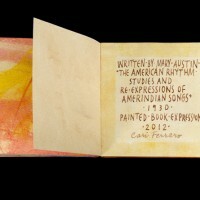 This poem is one of the many songs and dances observed and “re-expressed” by Mary Austin during her lifelong interest in American Indian culture and ceremony. 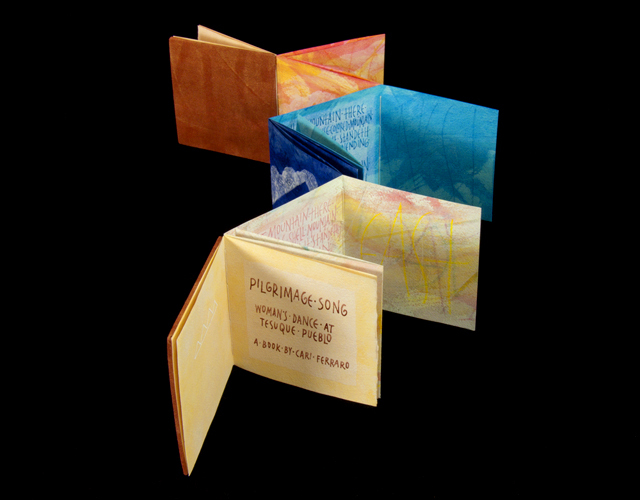 Her early interest in this subject reflected her search for a poetic rhythm growing naturally out of the land she lived in, and her collection of these poems was her alternative to imported English poetry.